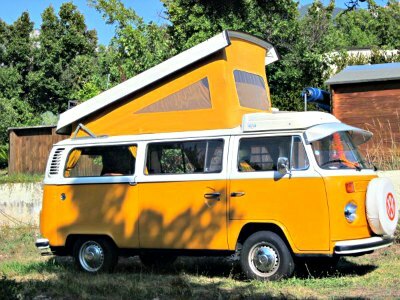 I was just a small kid, when a VW Westfalia pop top camper van caught my eye for the first time back in the early 1970's. Our family was camping down in Croatia for the summer and a night of heavy thunderstorms was hovering over our cotton family tent. Water was dripping in from all around and when the morning came around, we were completely soaked and flooded. While my parents started cleaning the devastation from the storm, walking around in large muddy puddles, I can still kind of remember the couple in their VW Westfalia Baywindow, clearly enjoying breakfast and their morning cup of coffee. As they finished, the pop top came down, a couple of camping chairs got packed in and off they went to their next destination, accompanied by the always recognizable sound of the Volkswagen air-cooled engine of course. I kept this image in my mind for decades and it was more then twenty years later, when I realized that the VW Westfalia camper vans marked the beginning of the camper van era back in the 1950's. This was a great time of all time changes and converting hard working vans in a small and practical home on wheels was just one of the ideas at the time. 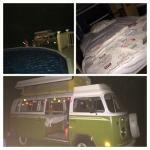 Roughly sixty years, VW Westfalia campers are one of the most popular vehicles on the road. Compact, practical and legendary more than ever. The iconic Volkswagen van was basically designed around the Wolfsburg factory improvised parts mover by a Dutch Volkswagen importer Ben Pon. The first sketches were actually drawn with a pencil and on a piece of paper. 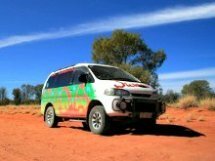 A few years later the first van came on the road. Westfalia was a horse and oxe farm cart and carriage building company at the time and one of the stories is, that an American officer serving in Germany asked the company crew to furnish the Volkswagen van in a small, self sustained and comfortable home on wheels. Soon after, a camper van was shown to the public for the first time and the response was more than enthusiastic. The rest is history and from the early 1950's and up until 2003 thousands of camper vans were build on four different Volkswagen models. Nothing has ever surpassed the versatility of camper vans and the VW Westfalia vans do carry a long term reputation for everlasting quality. There is no other reason I can find for these campers being so popular. And it sure doesn't look like that this will change anytime in the future. Is it just me? No, just take your time and look around around. It's just so obvious. There are four generations of these engineering marvels out there around the world. Folks drive them, restore them and most of all enjoy them whenever they can. 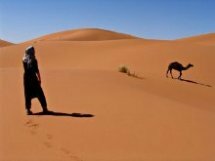 Some travel around the world in them while others even choose to live in them. So, let's have a brief look at these great campers. 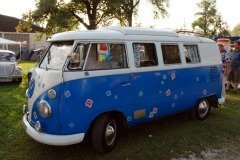 The first VW Westfalia conversions rolled out based on the early Kombi model or the so called Splitscreen with an air-cooled engine and traction all the way in the back. Build from 1951 and until 1967 these first camper van conversions came out in so many interior layout variations, that it would be impossible to describe all of them on one single webpage. One of the unique features that was added somewhere in the middle of this models evolution process, is the small pop top roof which offered standing height in the middle of the van for the first time ever. Perhaps one of the most legendary models is based on the Volkswagen Baywindow and came out in 1968. A total upgrade from the previous model with a larger engine, brakes that finally work and 12V power circuit. The air-cooled engine remains in the back of the van. 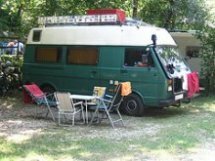 A large number of interior layout experiments through the years came from Westfalia and a full lenght pop top roof was added for another double bed on the roof level. I guess you could say that a perfect family adventure vehicle was born. 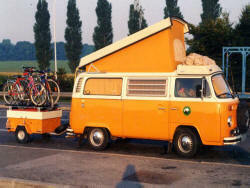 In 1979 a whole new generation is introduced and marks one of the most popular VW Westfalia camper in the world today. The T3/25 or the Vanagon known in North America was named the Joker and California at the end of production in Europe. Westfalia tradition of design and outstanding quality has reached peak quality by now and this Westy is one on the most wanted list for used campers today. 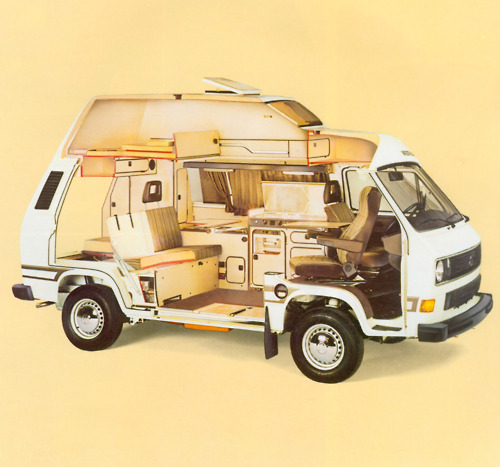 This is a "Swiss Army" knife in the world of small campers and a perfect adventure vehicle even today. The air-cooled engine is still in the back of the van, but later on, a whole new water-cooled power-plant has been added including a diesel powered machine to go with. 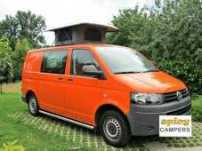 The spacious pop top roof is standard and a high top roof option was added later on for a full camper van conversion. The interior layout has stabilized with only a few versions now. A four seater or a five seater with full width rear bench were two most distinctive combinations. The top of the range Westy is the 4x4 Syncro model, build on a German army project chassis and is even today one of the most desired and durable camper vans on the used market. After more then 40 years, Volkswagen breaks the "engine in the back" tradition and launches a brand new water-cooled front engine and front wheel drive model in 1990. 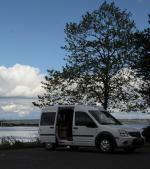 Transporter is the European name and for the North American market, the Eurovan. 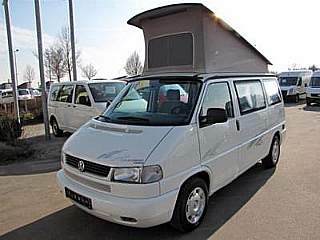 The Westfalia conversion keeps the name California and a similar interior layout to the previous models based on the T3 platform. The only thing that has largely changed do to the front engine is a huge storage room behind the rear seat bench. 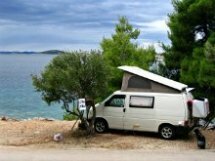 The North American version is converted by Winnebago this time and uses the 5 cylinder or VR6 petrol engine, instead of the mainly turbo-diesel powered engines in Europe, where the VW T4 camper is most popular. The Volkswagen-Westfalia partnership lasted over fifty years and has converted four generations of the legendary VW van. Volkswagen terminated the long standing relationship in 2004, as a rival financial group (Daimler-Chrysler) became the new owner of the brand name for a short time. 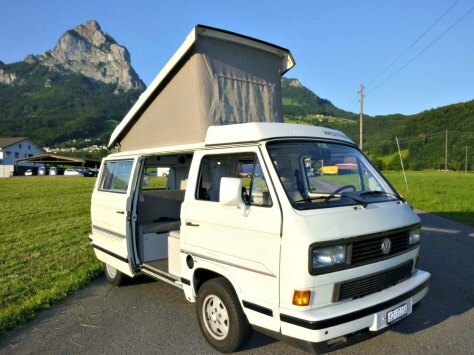 The current California pop top and high top models using the T5 van for the base are now marketed by Volkswagen and are not made by Westfalia anymore. The impeccable quality is a tradition for both brands of course. 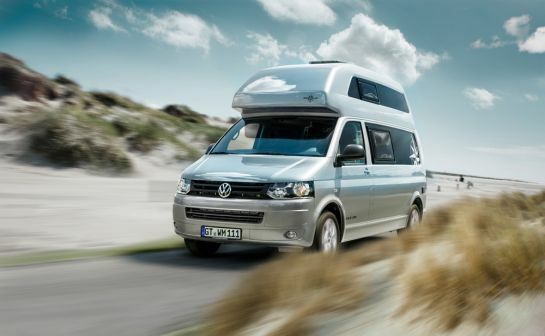 However, after nine years of silence to say so, Europe's oldest camper van brand comes back with a brand new Club Joker model based on the long-wheel base T5 platform or the successor of all the models above. This is the ultimate high top camper, continuing the legendary tradition of the past. Here you will find the kitchen, bathroom and storage compartments in the rear area of the vehicle. And a classic from this brand, one fold out double bed on the top and another from the fold out seating lounge behind the drivers seat. The VW Westfalia has never gone out of style, no matter which one you prefer. While the first four generations can be found around the world, the new models are available in Europe only. The first three seem to be changing owners, some even being shipped from one continent to another. I guess that as long we can keep them alive, they'll stay on the road. And I do see a lot of them, when I travel.